Nunhead is located within Inner London in the borough of Southwark, with a population of around 13,620. Nunhead has the unusual advantage of being tucked away in the heart of London, close to all the major attractions while simultaneously retaining a village atmosphere with places such as Telegraph Hill Park providing green surroundings. 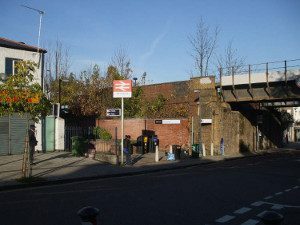 There are excellent transport links with a mainline station in Nunhead and New Cross Gate Station just a short walk away while access by road is possible via the A2214. Lanes School of Driving was first set up more than 100 years ago in 1914. Over the last century we have slowly grown in size, becoming one of the leading independent driving schools in the UK today. As we have expanded, we have stayed committed to our founding principles of high quality, treating each of our students as an individual and creating customised lesson plans for each. We know that it can be difficult fitting in extra appointments around a hectic lifestyle. This is why we offer flexible arrangements which are designed to make it more convenient for you to find time for your driving lessons. We will even pick you up and drop you off at your home address so there’s the minimum of hassle. Our driving instructors have a range of different modern cars, all of which are equipped with top of the range technology so you’ll be comfortable while you’re learning. We also make a promise to all our students that their time with the instructor will be one-on-one. Unlike elsewhere, you’ll never have to be distracted by another student being present during your lesson. If you’d like to hear more about driving lessons in Nunhead, give us a call on 020 8166 5678 or email us via our contact page by clicking here. All of our driving instructors have been trained to the highest possible standard and hold the DSA Approved Driving instructor qualification. 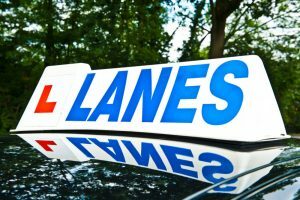 Many of our instructors trained with Lanes from the beginning, gaining valuable knowledge over the years and allowing us to vouch for their expertise with confidence. This combination of training and experience means that our team of instructors are among the best you’ll find anywhere. Lanes believe that it’s important for the instructor and the student to develop a good understanding as this creates a harmonious atmosphere for learning. This is why when you learn with Lanes you will always have the same instructor for every lesson. This continuity also provides the instructor with the opportunity to create a personalised lesson plan that takes the individual needs of the student into account. Learning anything new can be daunting and having to do it in front of a stranger doubly so. Many new drivers are nervous about learning but all of our instructors here at Lanes are patient and understanding and will allow you to proceed at a pace you’re comfortable with. However, some female students are more relaxed with a female instructor. We have a team of female instructors which means we are more than happy to accommodate these requests to help our female students enjoy the learning experience. If you would like to talk to us about female driving instructors in Nunhead, give us a call today on 020 8166 5678. Alternatively, you can message us through the contact page by clicking here. 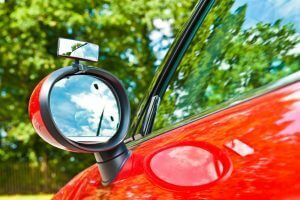 Driving a manual car can be challenging for new drivers, and although using gears can be useful, many students at Lanes choose to learn on an automatic. Learning on an automatic car means there’s no risk of stalling the engine or jerking the gear changes, making it much easier to gain confidence and progress. For more information about automatic driving instructors in Nunhead please ring us today on 020 8166 5678 or send us a message by clicking here.